Between the Swimming complex and the Horse Riding school is a Tree Top Adventure Park adapted to all ages. This is a good way to discover the forest from a different perspective through a unique 2-hour adventure. The tree circuit is patrolled by operators specially qualified for Tree Top Adventure parks. Platforms, suspension bridges, ladders, zip lines and Tarzan swings are some of the different obstacles available at various levels of difficulty. Climb trees, slide down zip lines, cross suspension bridges, crawl in tunnels or swing on stirrups. Experience the daring adventure in a totally safe environment. The bravest can get their adrenalin pumping with the 110m zip line and the Tarzan jump! The Kid circuit is only for children who are 105-135cm in height. 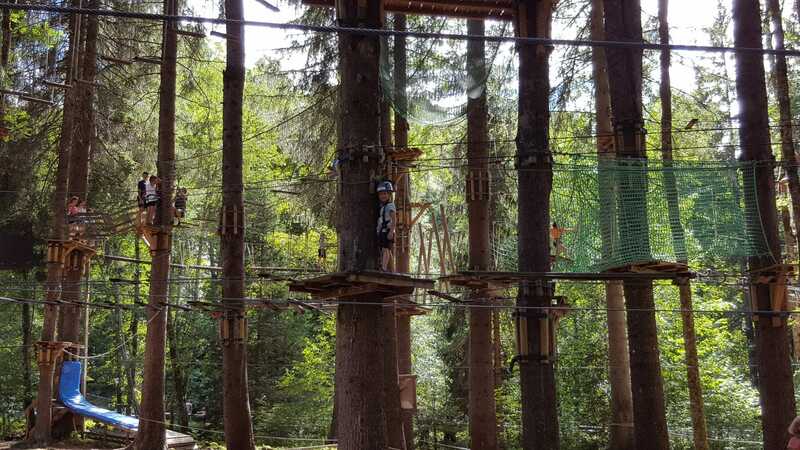 At around 3m from the ground, children can move freely from tree to tree, equipped with a helmet, a harness and a continuous belay safety system. From 2 y.o. and up to 105cm in height. Children work their way through obstacles that are 1,5m from the ground. 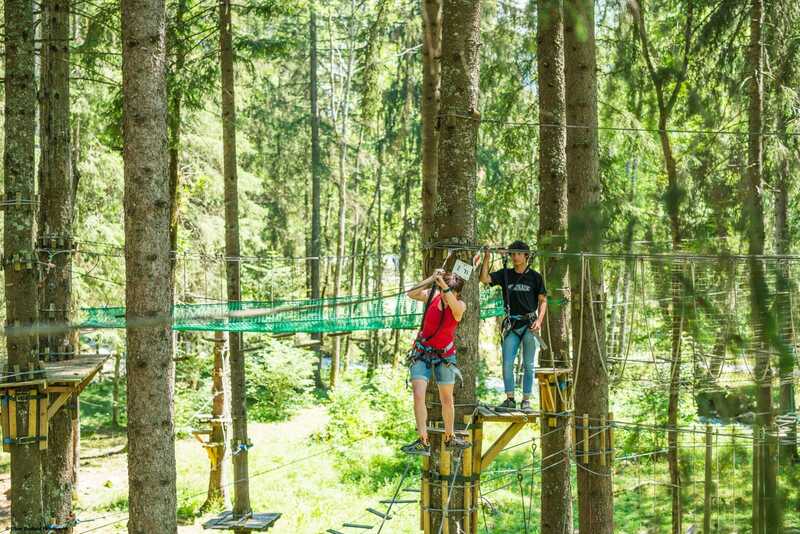 Supervised by their parents, children experience the tree top circuit just like the rest of the family! Discover the prices and times on the park’s website.